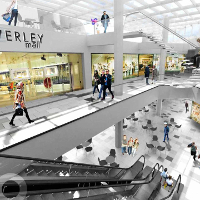 Nationwide facilities management specialists Oltec fm are delighted to announce that they have been awarded a 3 year contract to supply facilities management services to both Waverley Mall and Rutherglen Exchange shopping centres in Edinburgh and Glasgow respectively. The contract was awarded by retail estate and asset management giant Moorgarth Properties and expands Oltec fm’s Shopping Centres portfolio in Scotland. Moorgarth began in 2003, with an existing real estate portfolio of 31 properties and an ambition to grow. Christian Dalby, Moorgarth Head of Facilities Management, commented, “ Following a competitive tender process, we decided to appoint Oltec fm as our partner of choice. Our decision to appoint Oltec fm as a single security and cleaning services provider was based on Oltec’s strong presence in the Shopping Centres sector. Oltec fm is focused on delivering quality training, innovation and a fully dedicated and responsive Mobile and Senior Management Team which will benefit and support our respective team at Waverley mall and Rutherglen. Olivier Cavaliere, Oltec fm CEO, commented, “This is an exciting opportunity for Oltec fm to further develop its relationship with Moorgarth and expand our Shopping Centres portfolio. As a key service partner, we have been working closely to support our prestigious client Moorgarth since 2016 and we will continue to drive forward enhanced performance and service delivery at Rutherglen and Waverley Mall”. Oltec fm was founded in 1974 and is a provider of integrated buildings and facilities management services to a range of sectors across the UK. As a leading facilities management company, Oltec fm provide’s a comprehensive range of both soft and hard fm services and self deliver security, cleaning and M&E services. The business is an SIA Approved Contractor, and is ranked within the top 4% tier of over 800 approved security contractor companies in the UK.